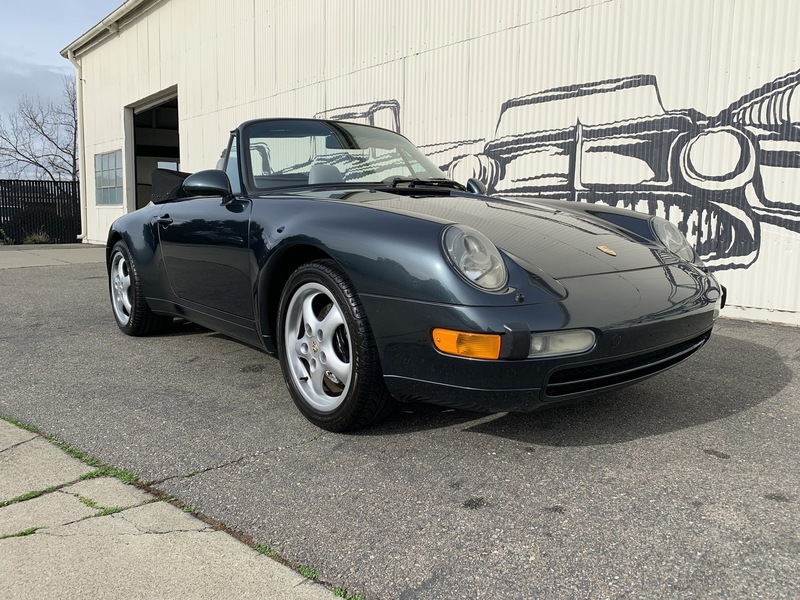 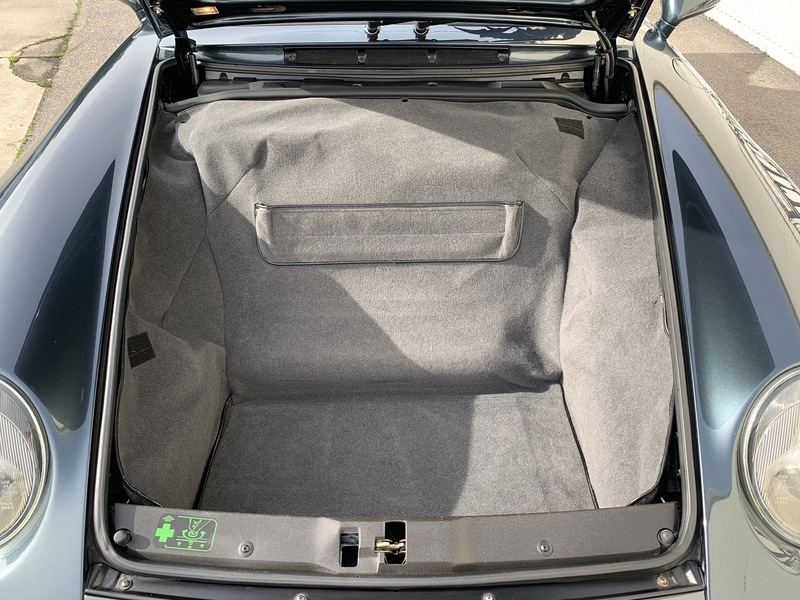 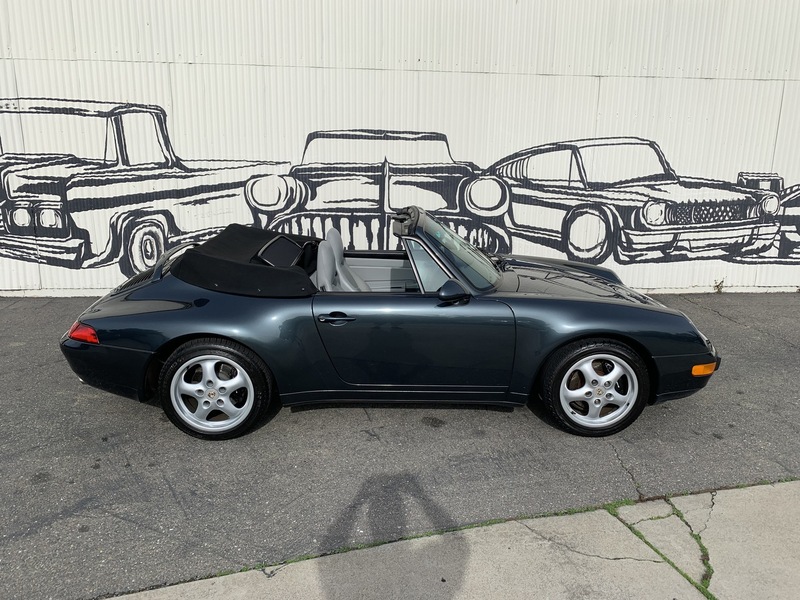 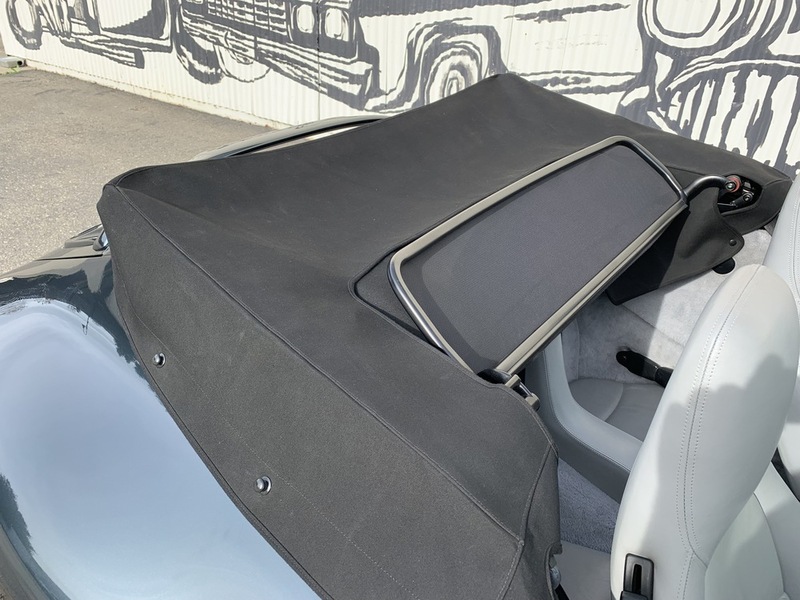 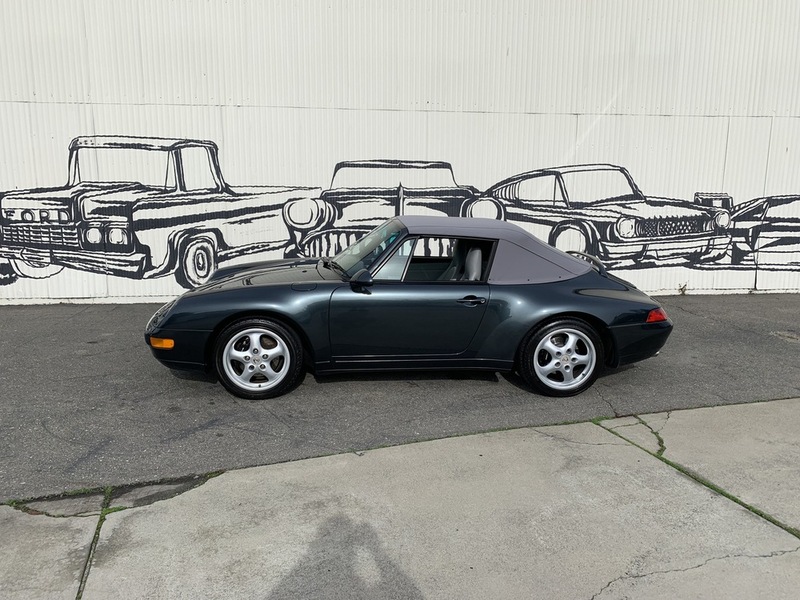 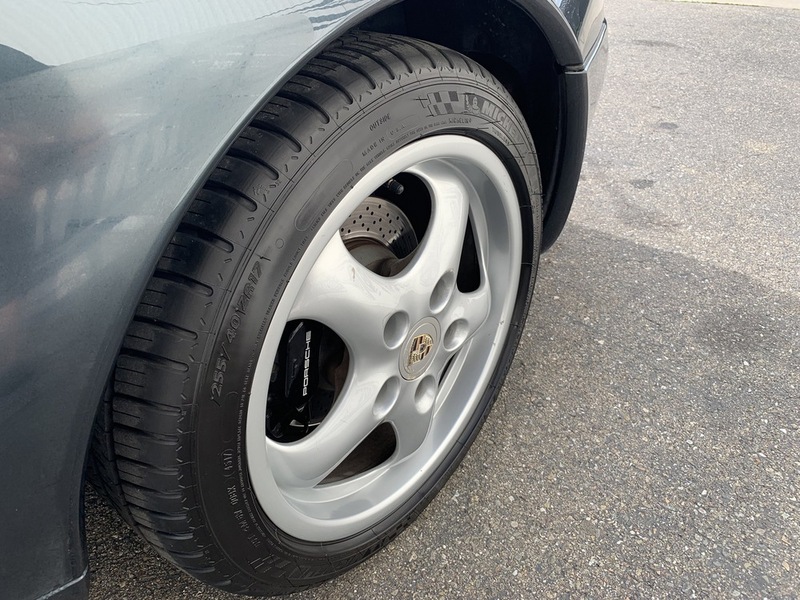 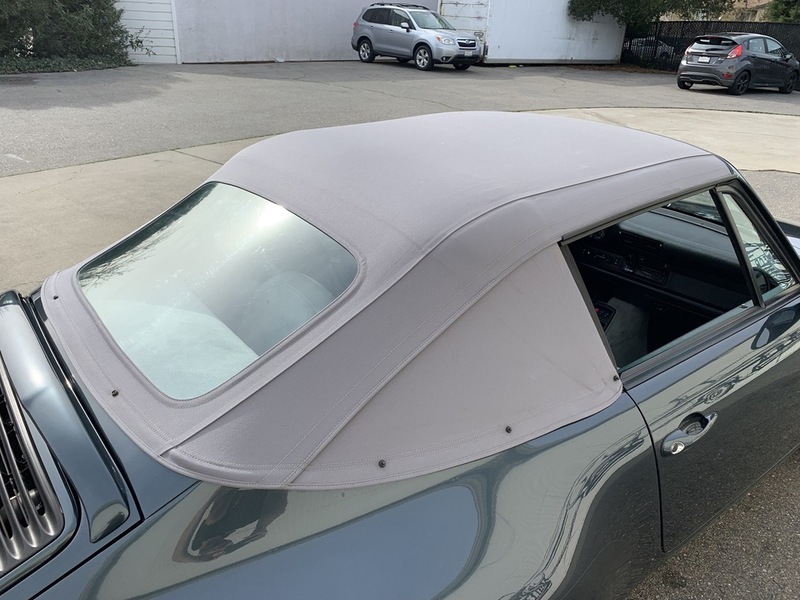 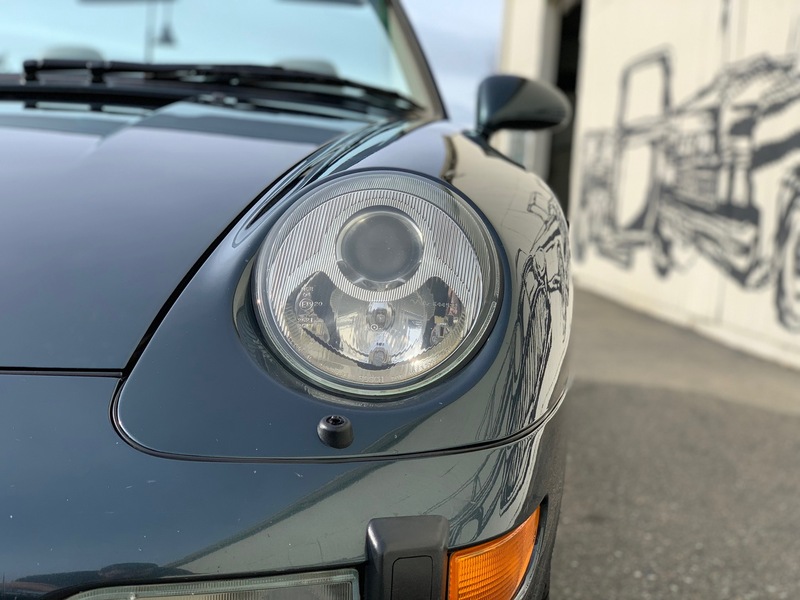 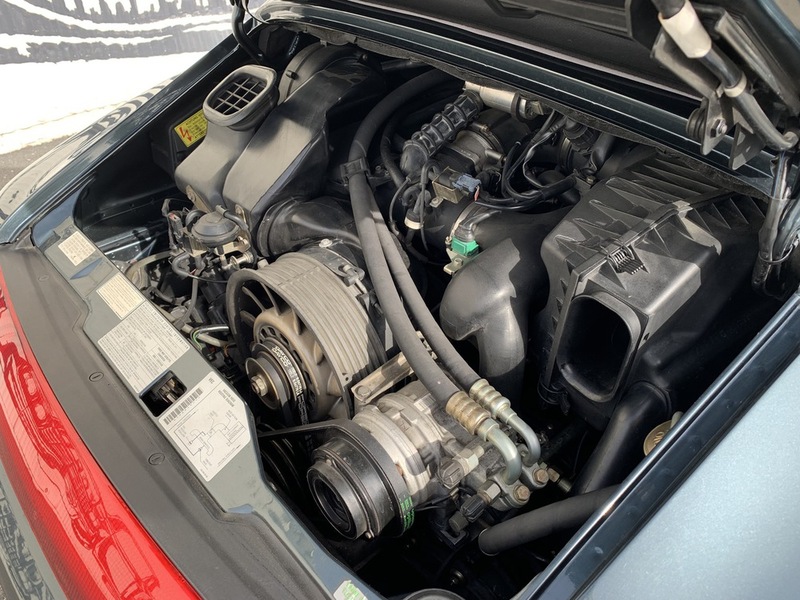 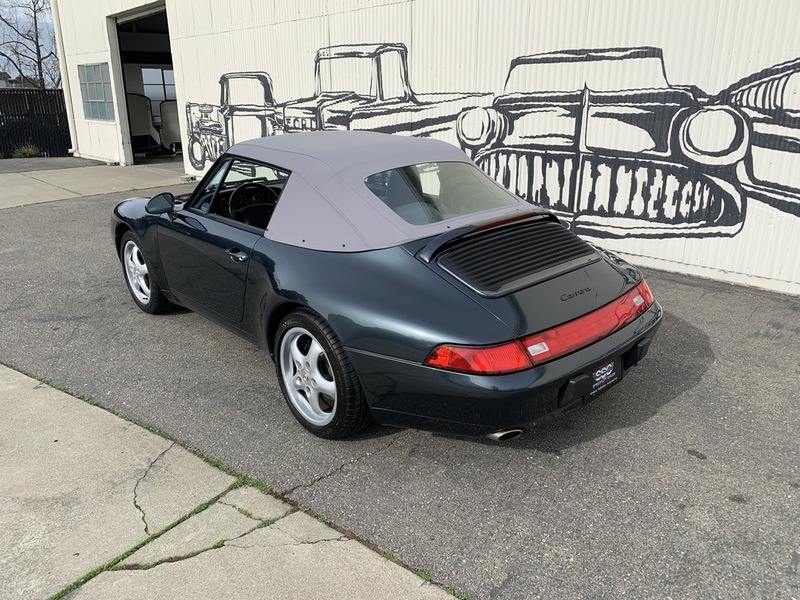 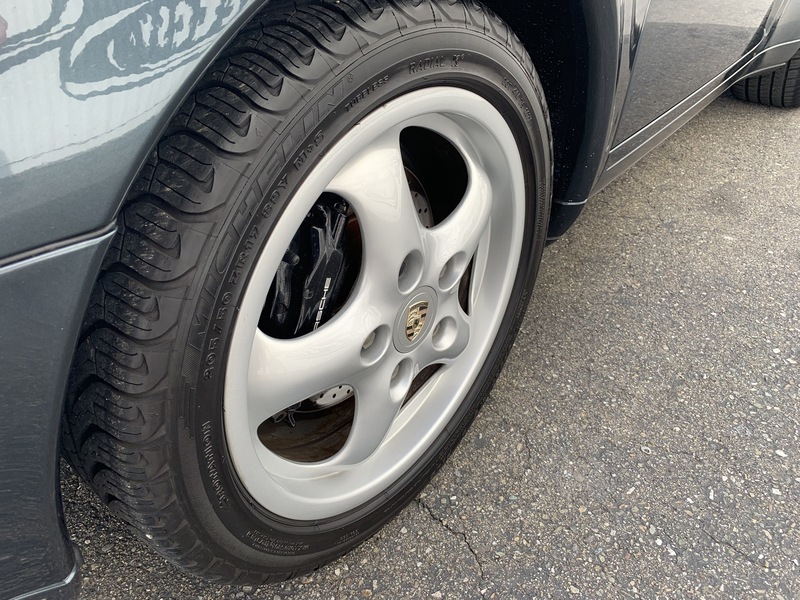 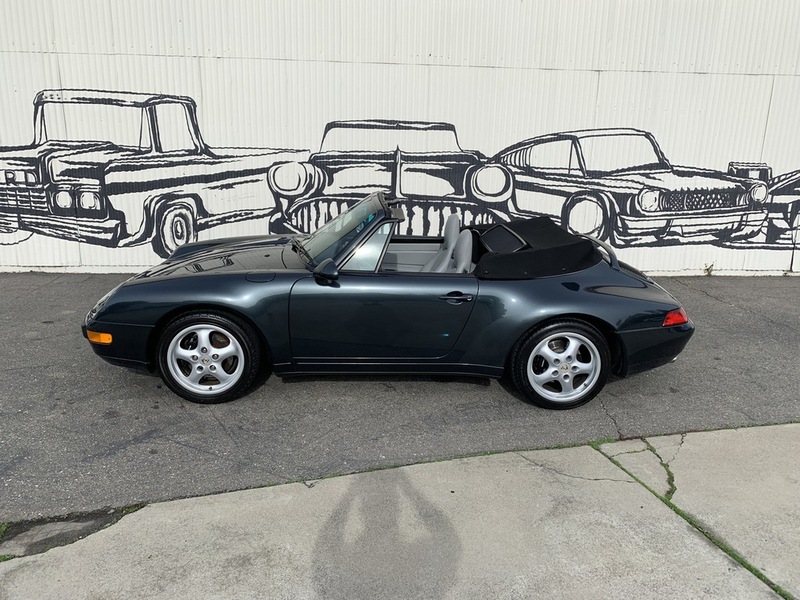 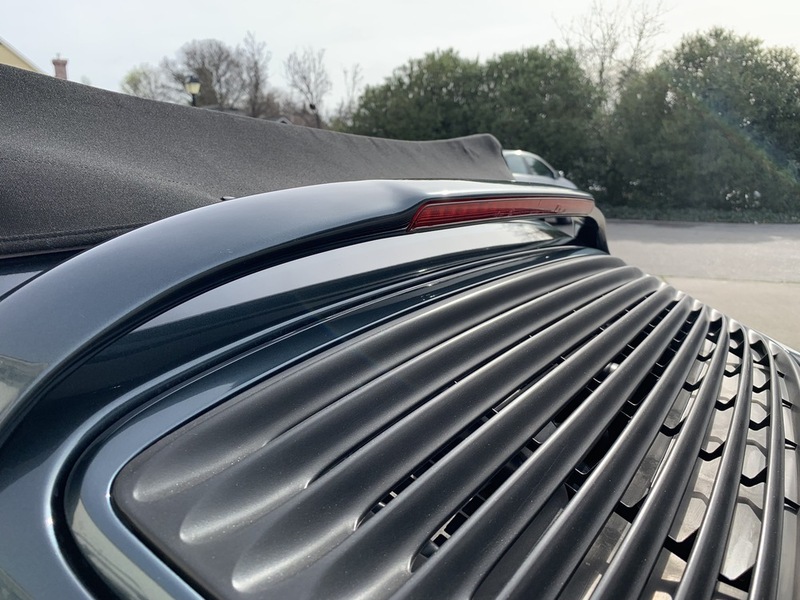 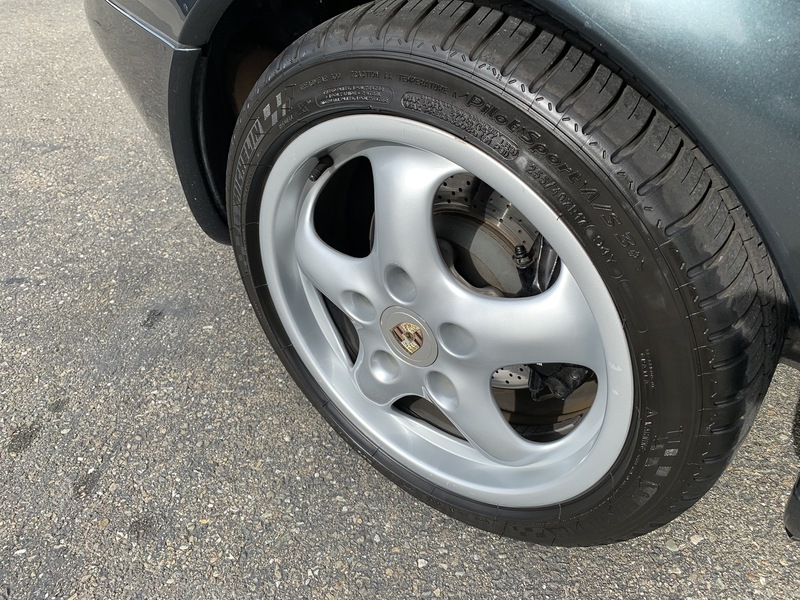 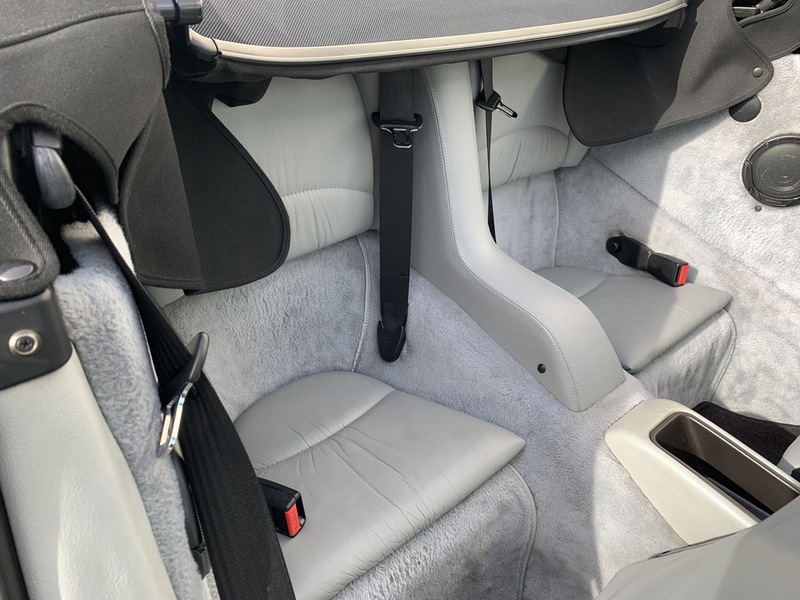 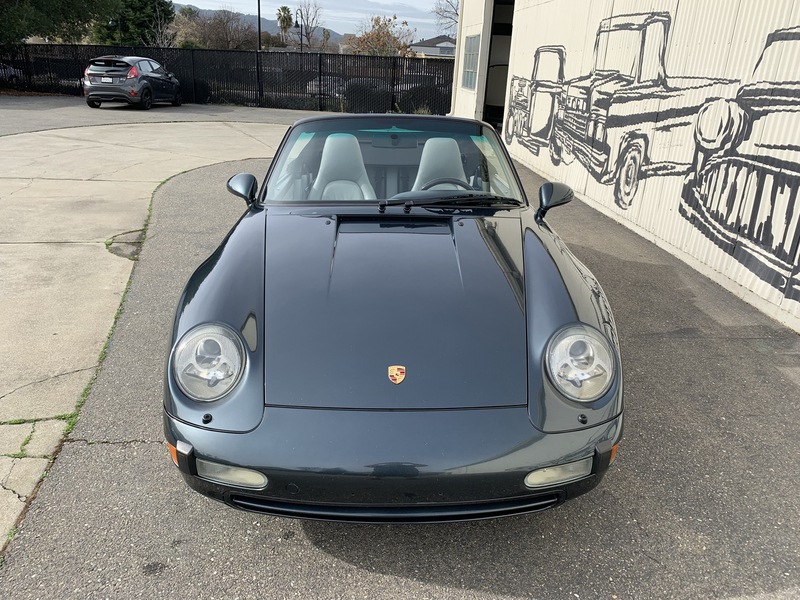 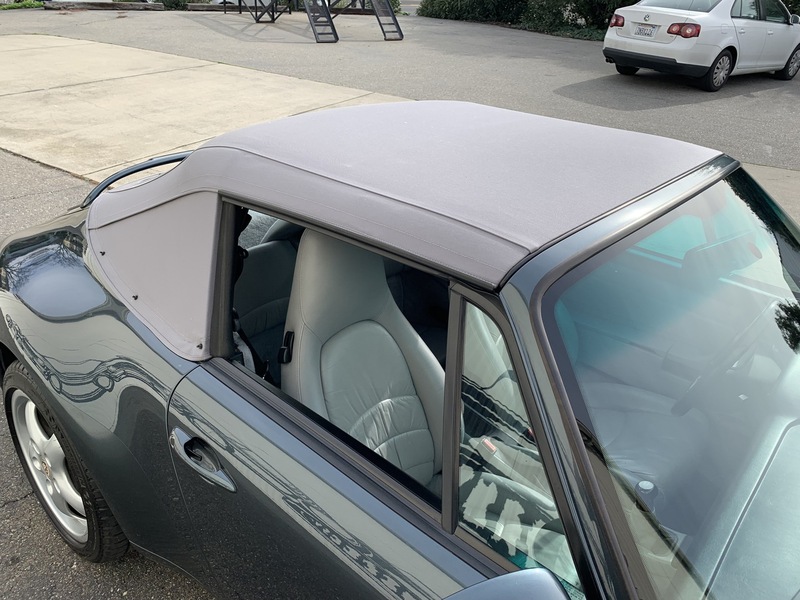 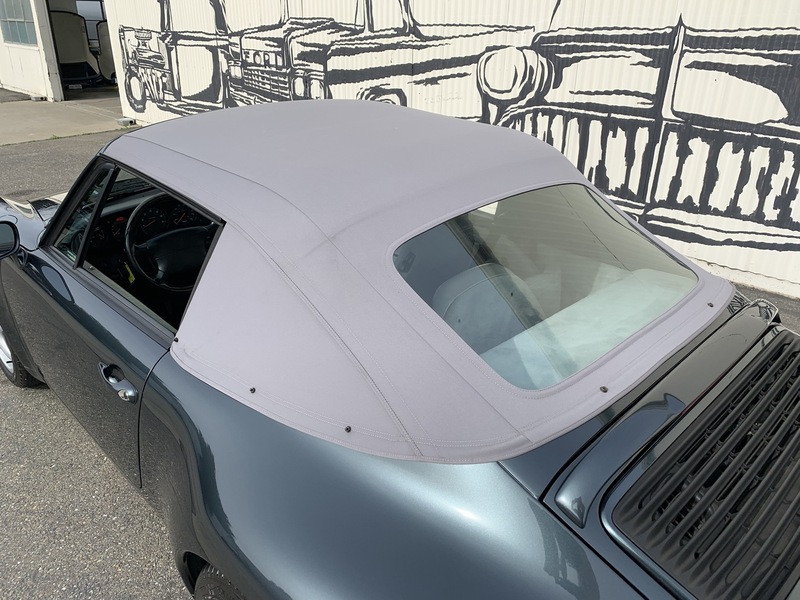 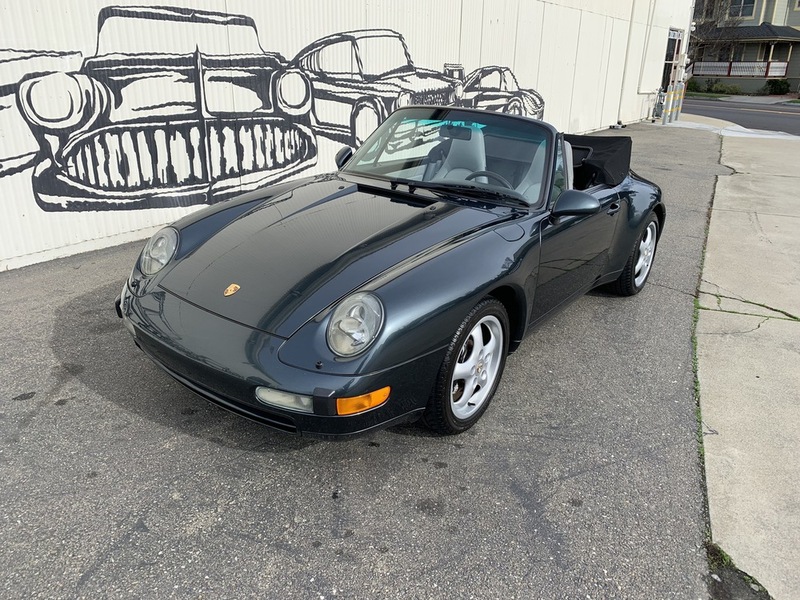 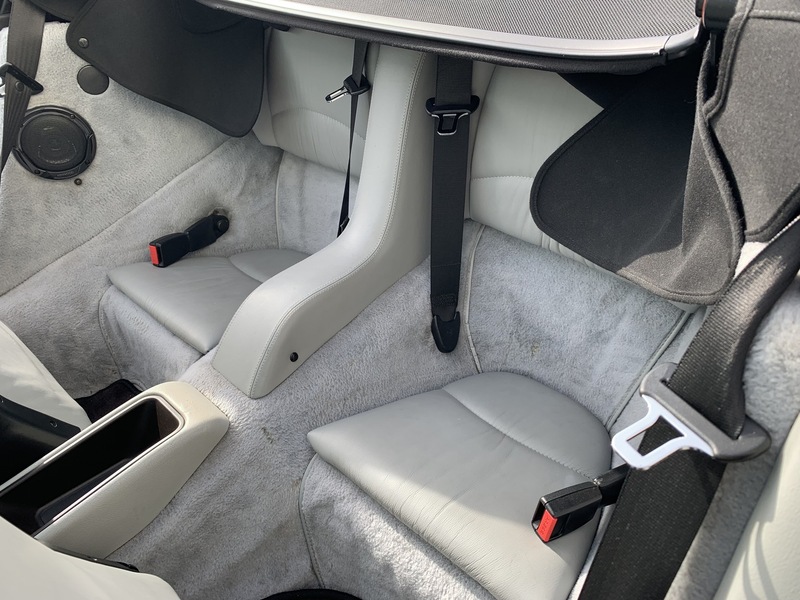 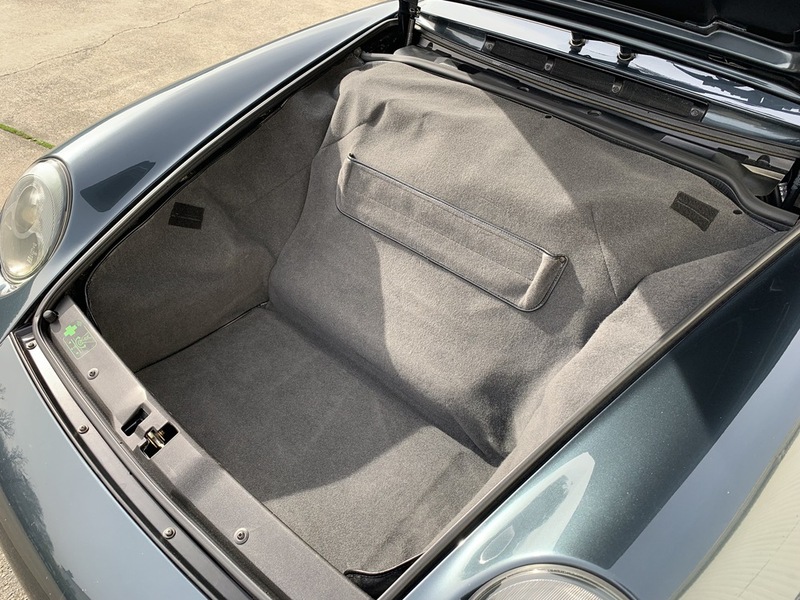 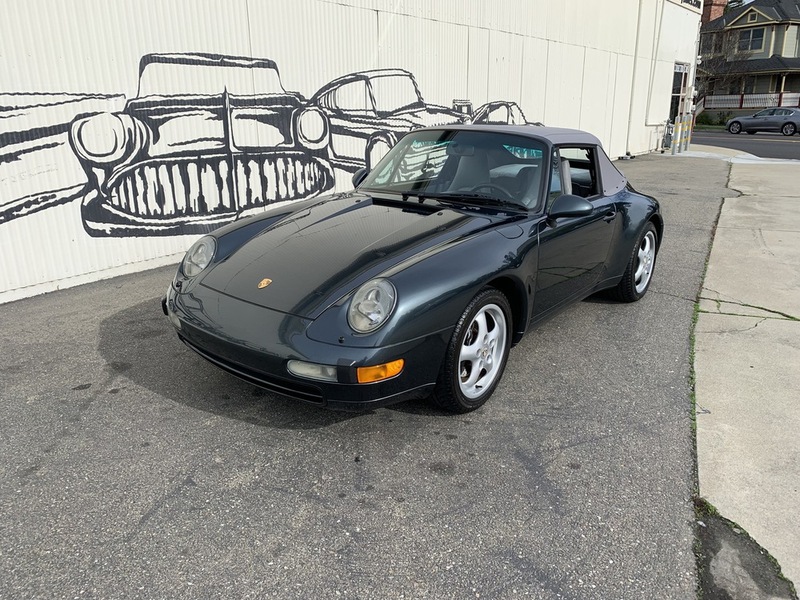 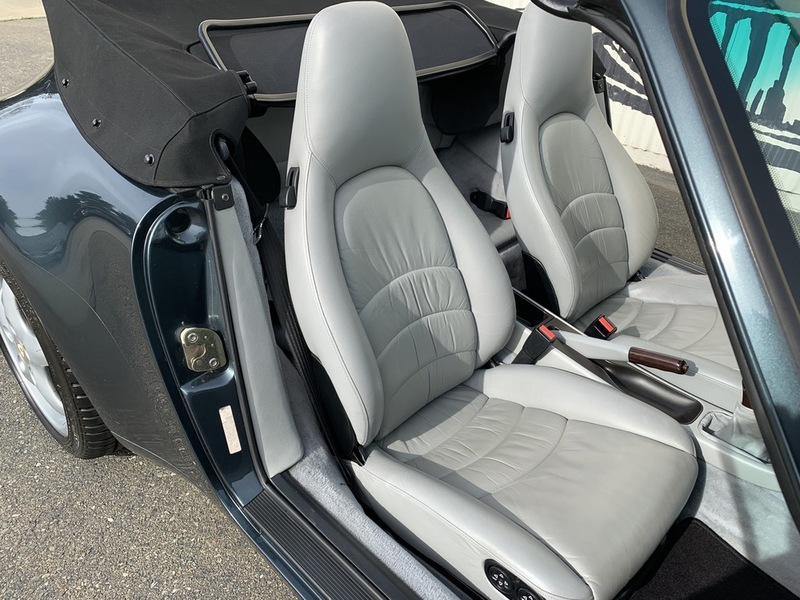 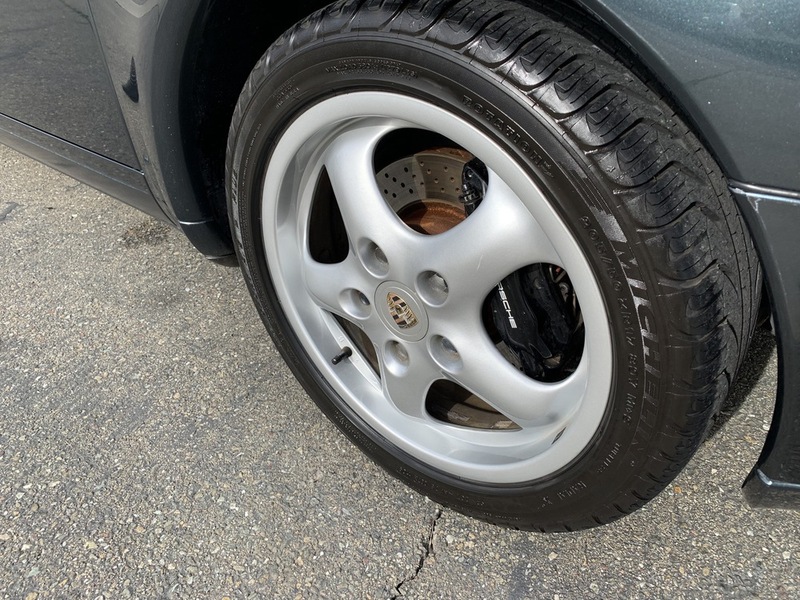 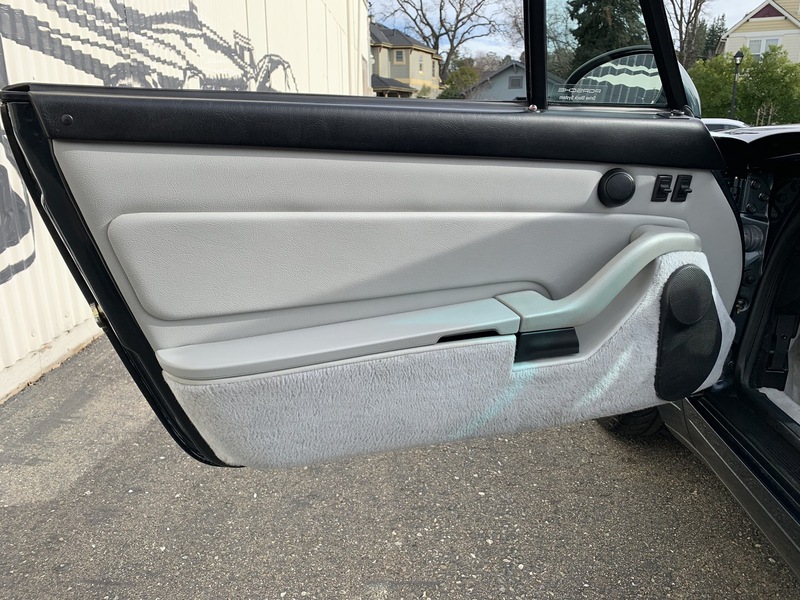 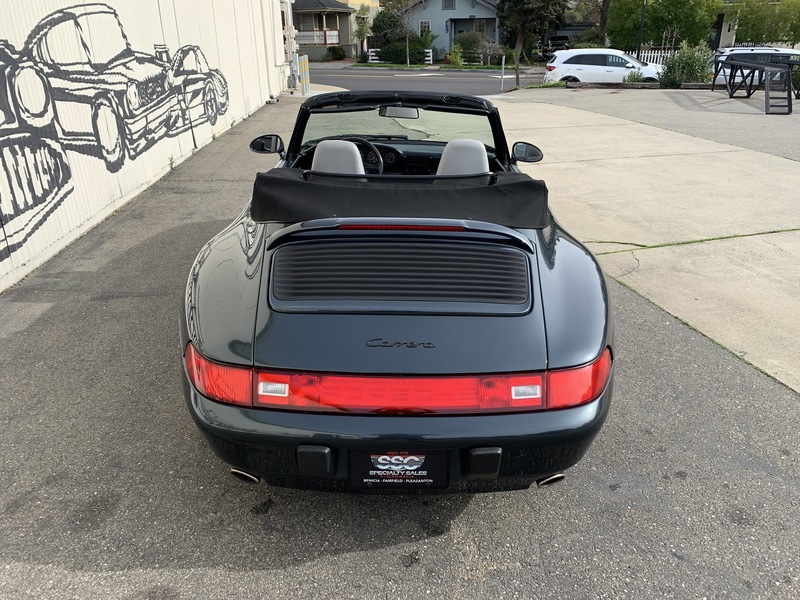 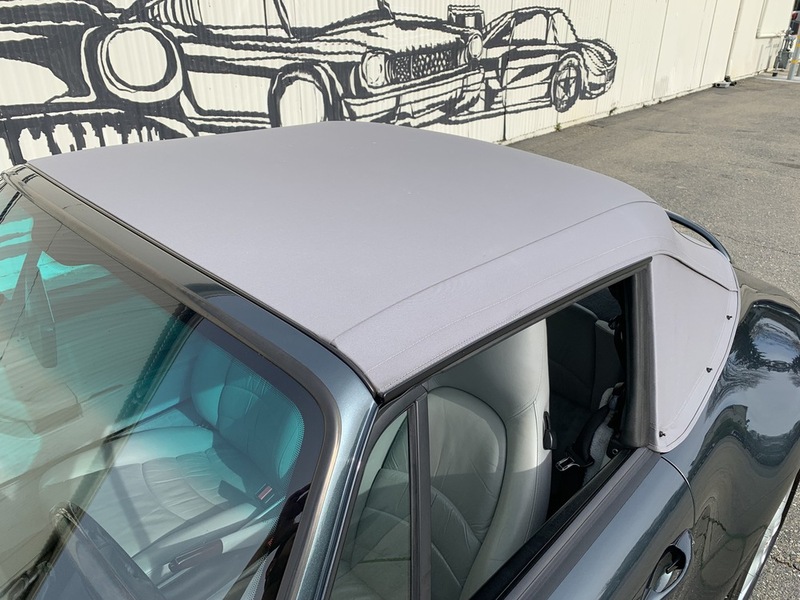 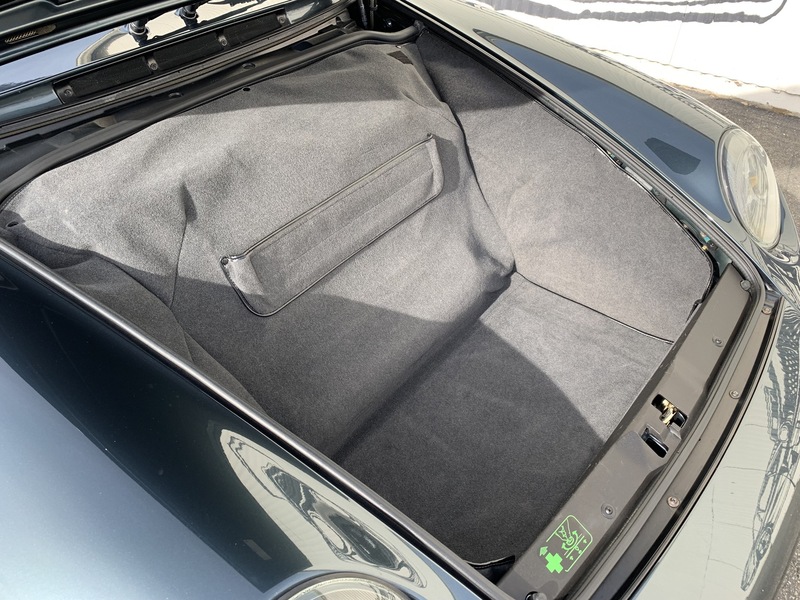 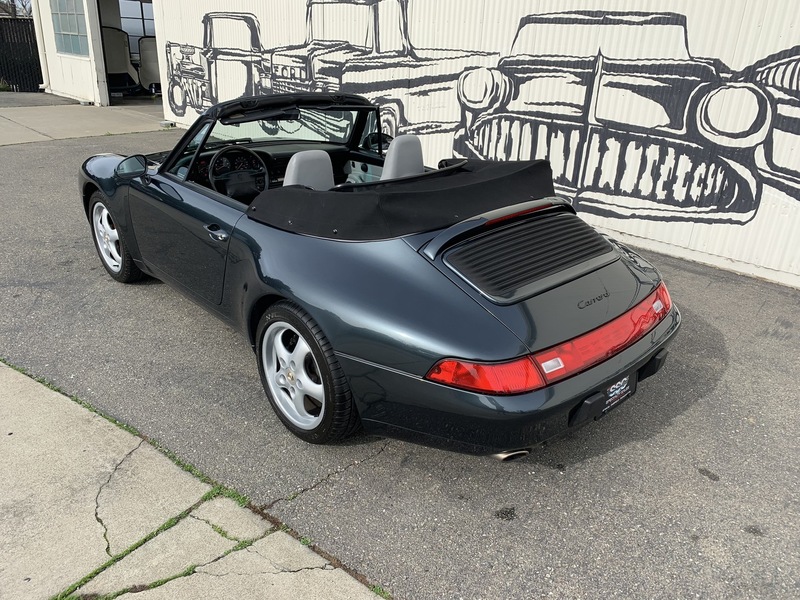 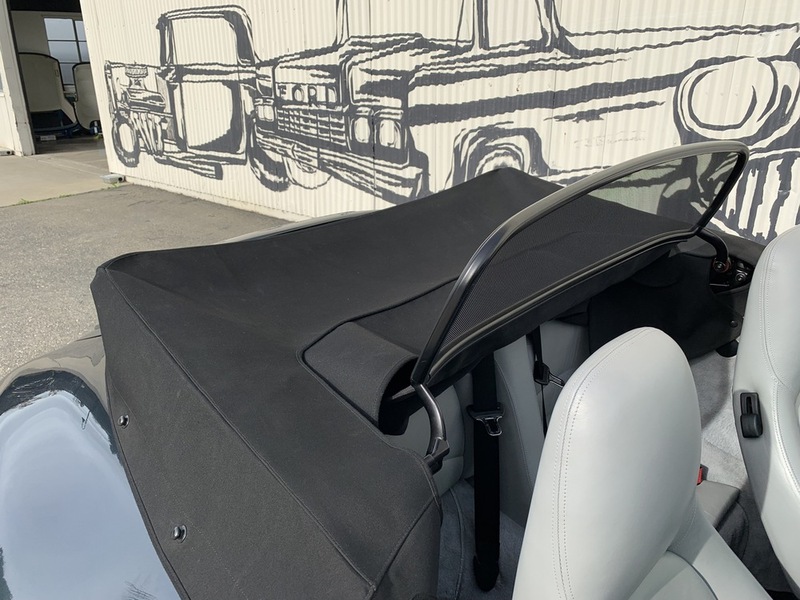 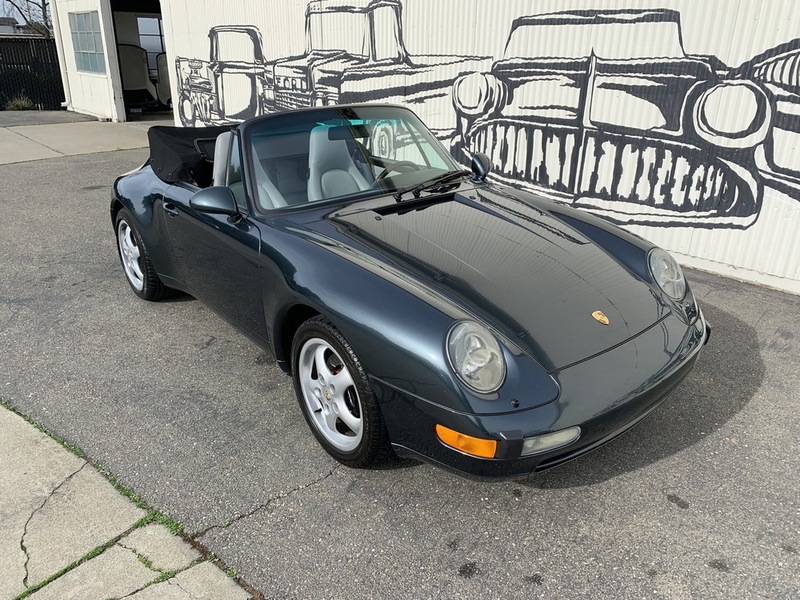 This 1995 Porsche 911 Carrera 2 2 Door Cabriolet (Stock # P10504) is available in our Pleasanton, CA showroom and any inquiries may be directed to us at 925-484-2262 or by email at Sales@SpecialtySales.com. 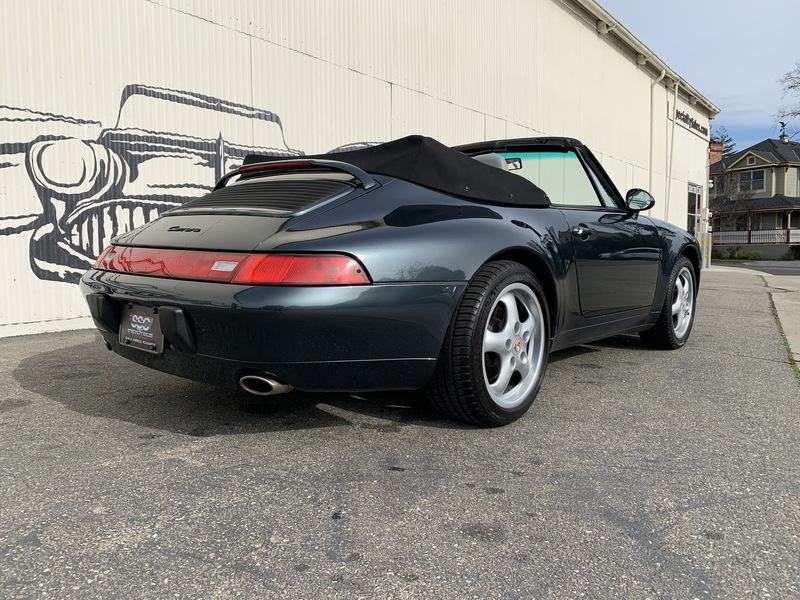 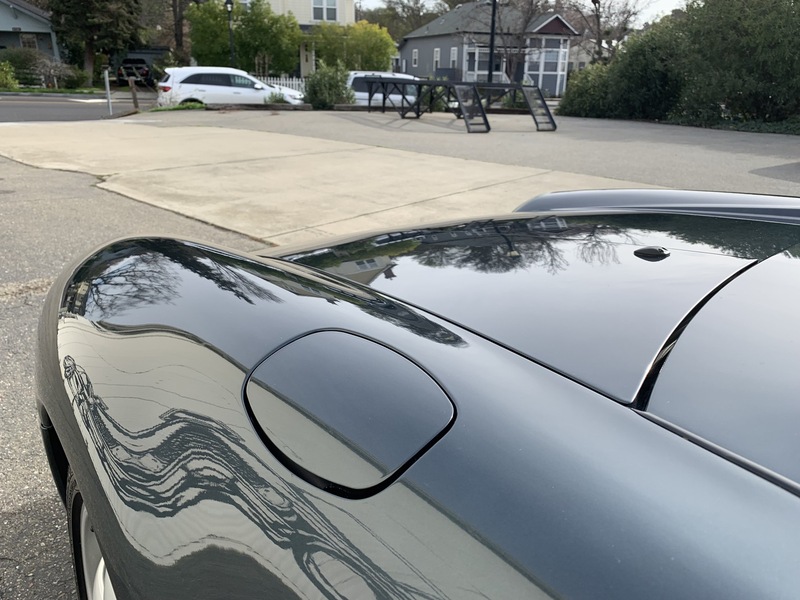 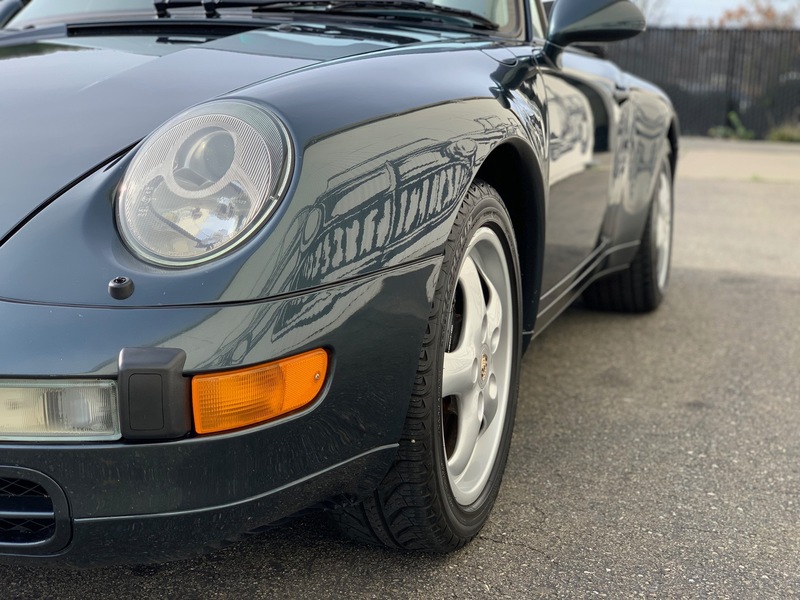 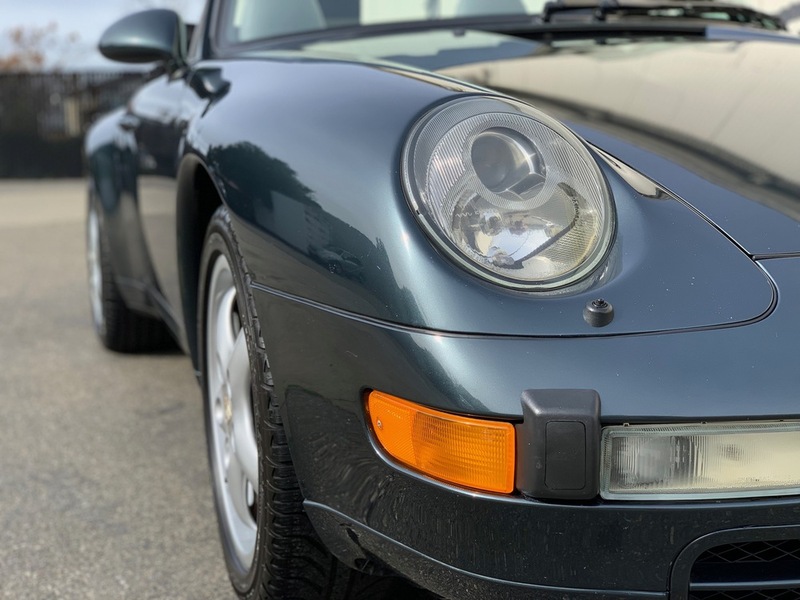 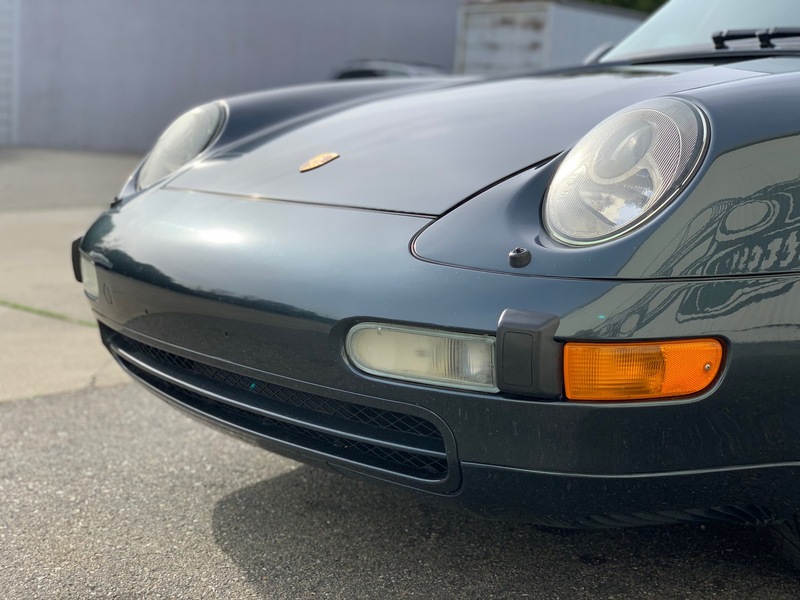 New to our Pleasanton showroom is this gorgeous, highly impressive 1995 Porsche 911 Carrera 2 2 Door Cabriolet with Adventurine Green exterior paint and a grey leather interior. 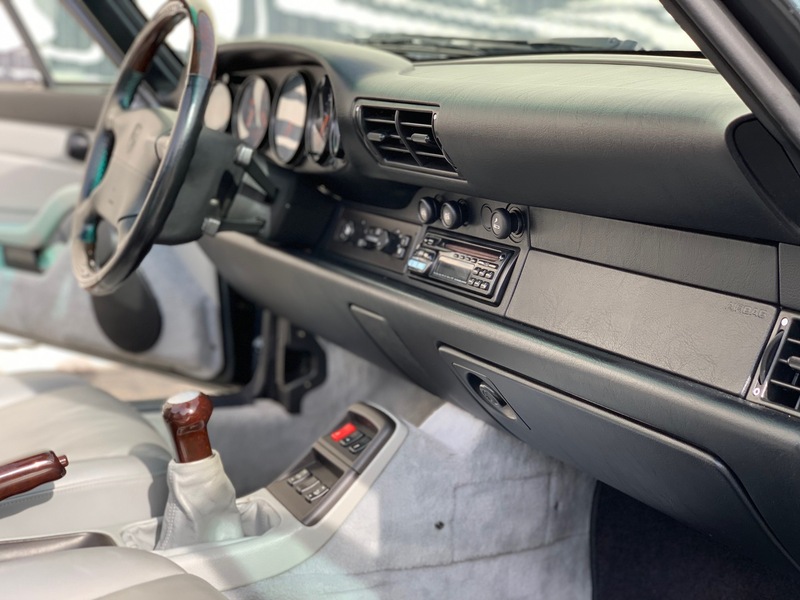 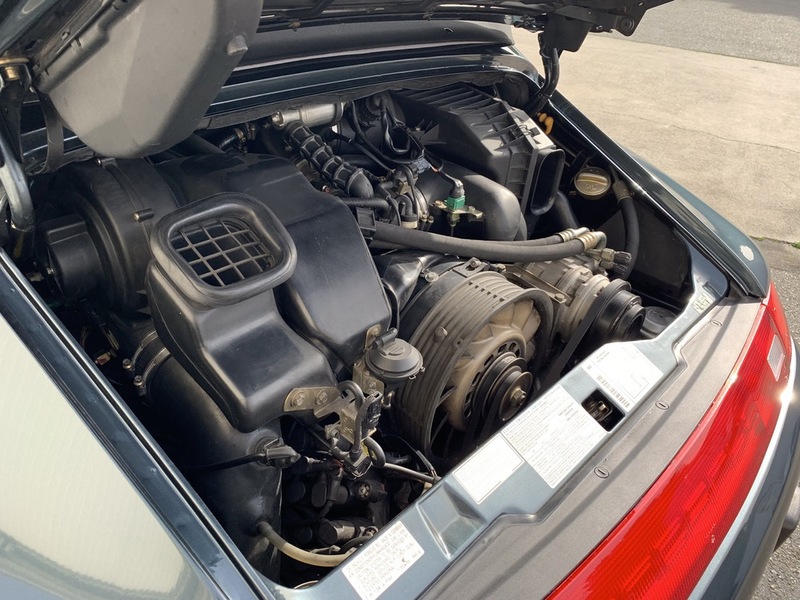 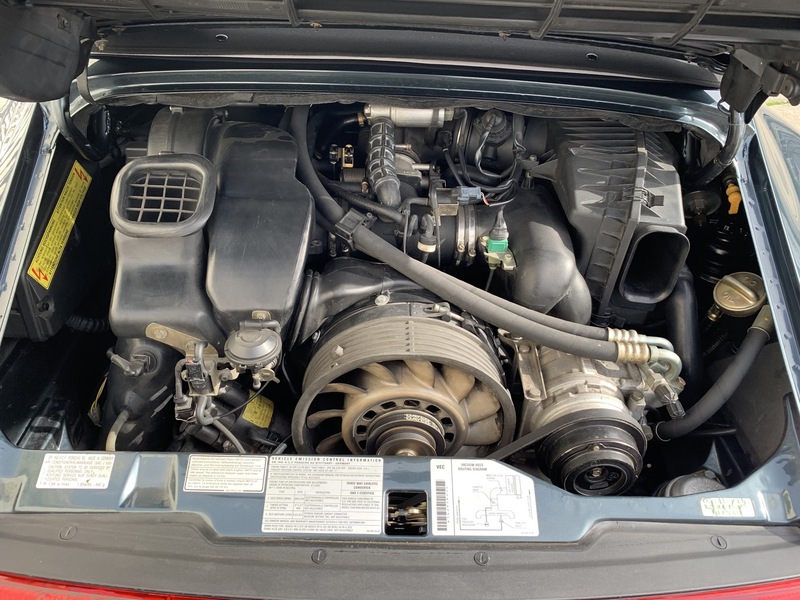 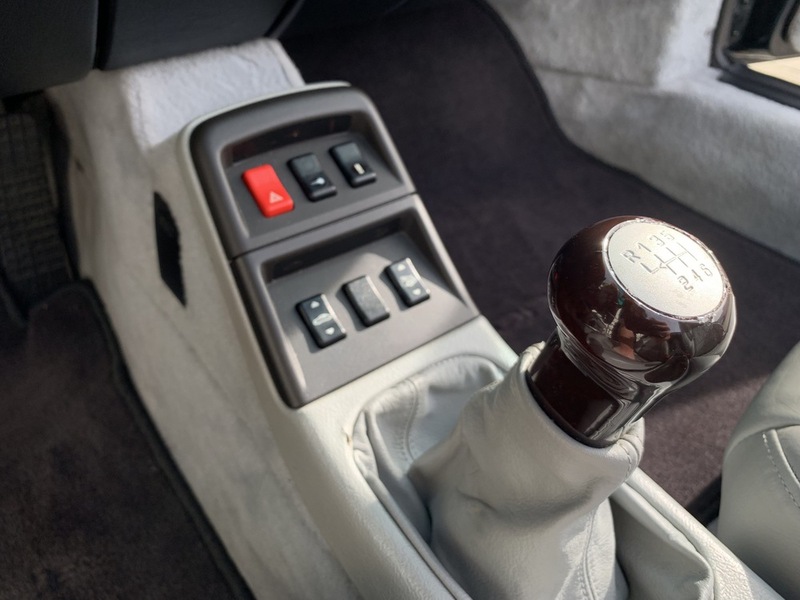 You’ll find a 3.6L six cylinder engine under the hood with a six-speed manual transmission and this sports car is very nicely equipped for modern driving. 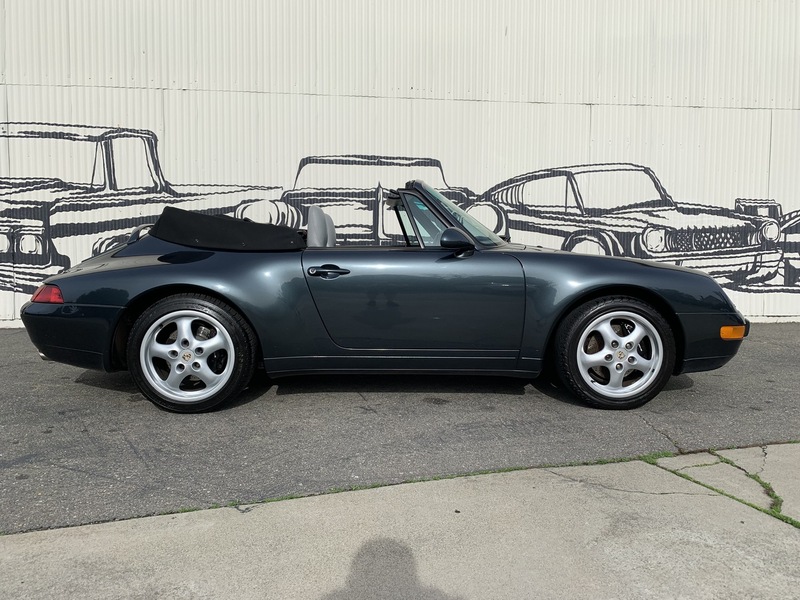 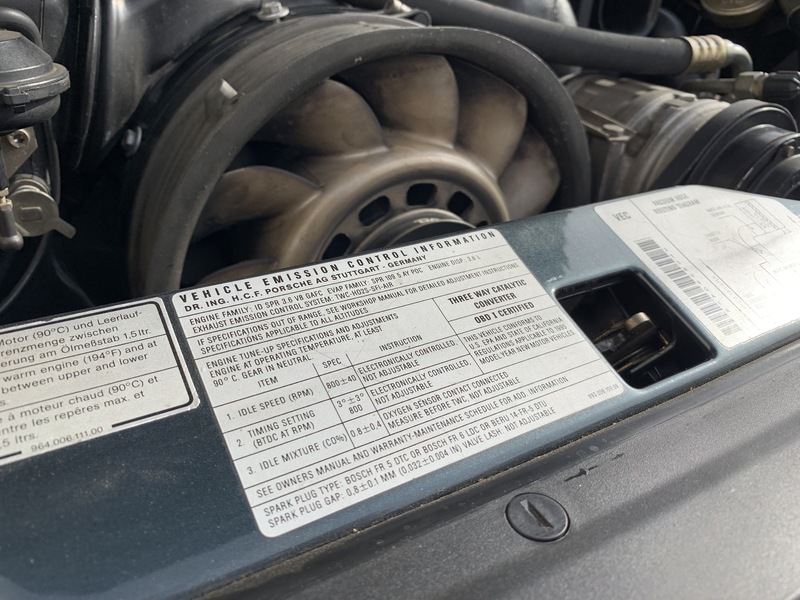 It's been a California sports car that was originally sold in Santa Clara, and we have maintenance records on file. 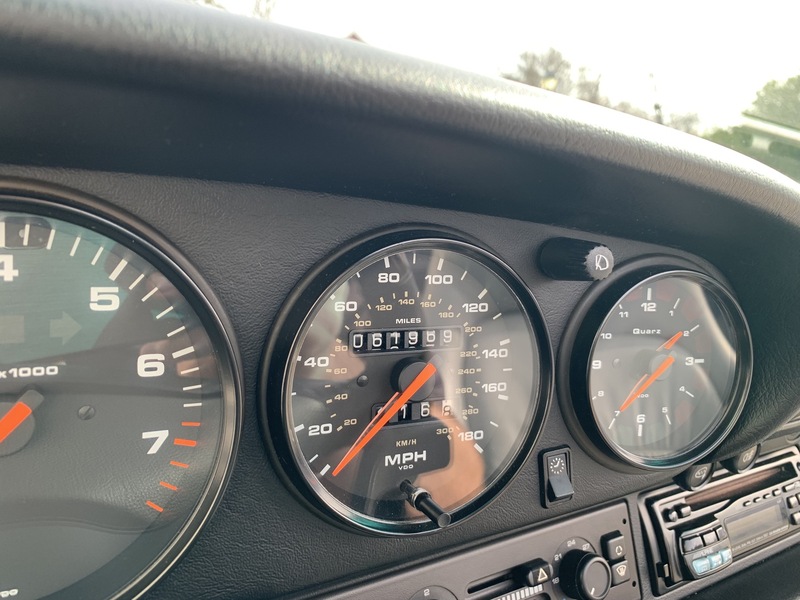 It’s a beautiful example that must be seen in person to fully appreciate- it’s been driven a mere 61,968 miles as well. 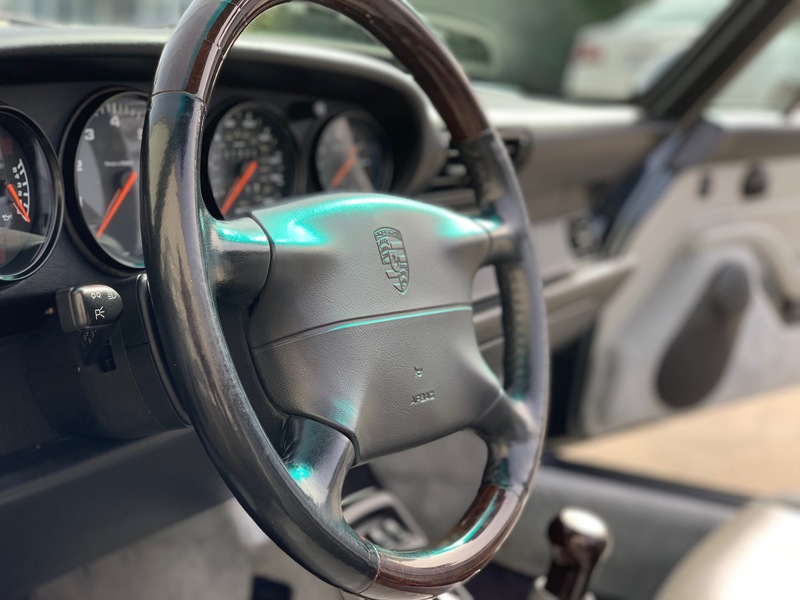 The current owner of this 1995 Porsche 911 Carrera 2 Cabriolet purchased it in 2007 and he informs us that he was drawn to this example due to its stunning originality and excellent documentation. 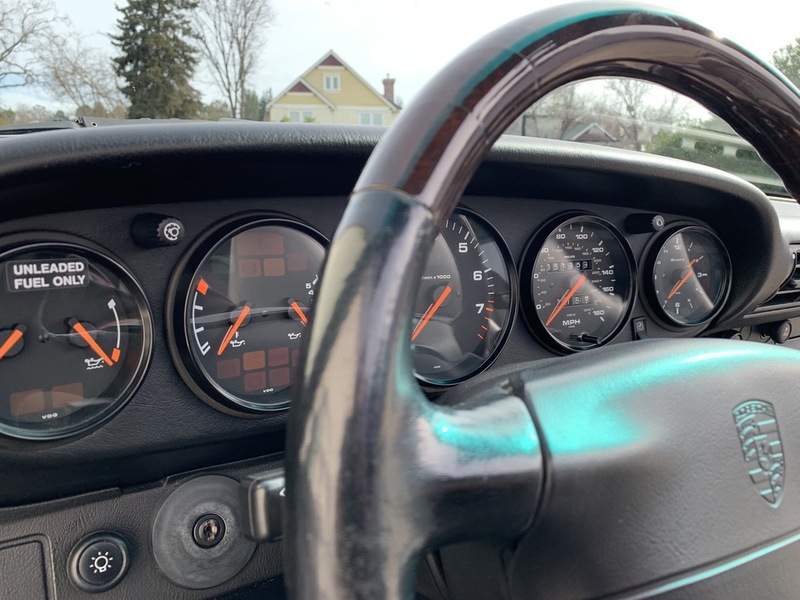 The drivetrain is still numbers-matching and this sensational sports car has been maintained at the highest possible levels its entire life. 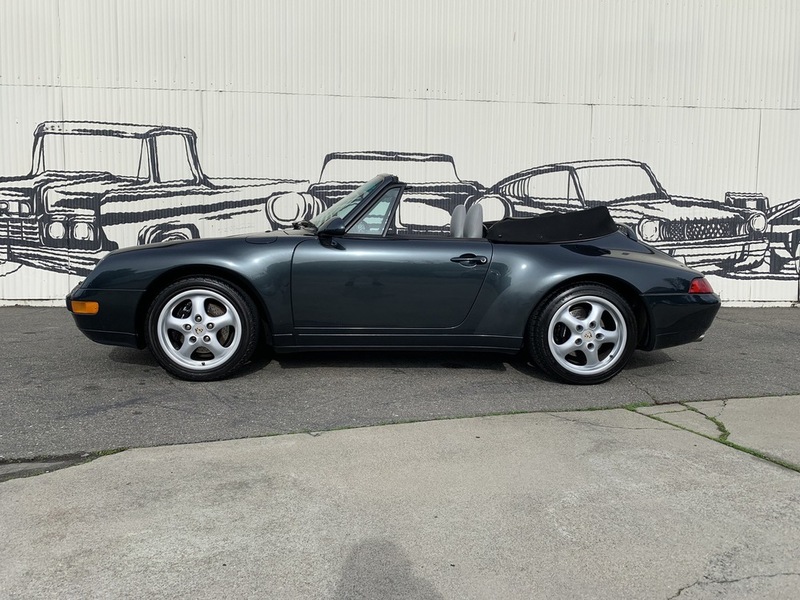 It also shows great in person with sensational body lines and near perfect factory paint. 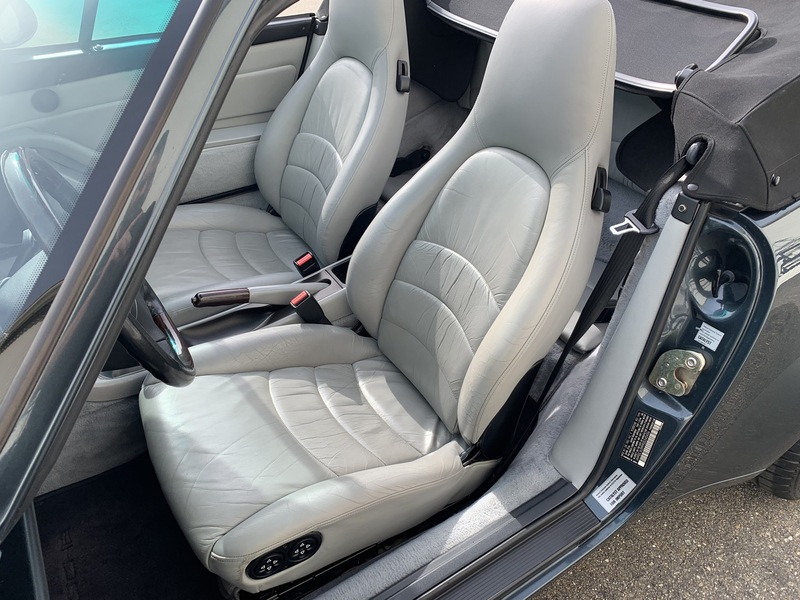 The interior is just as impressive and this may be one of the most impressive examples on the open market at this time. 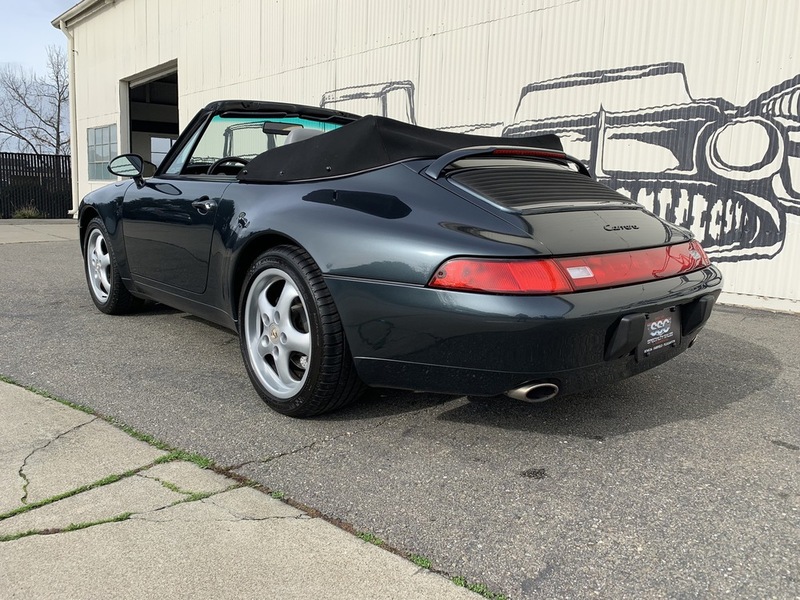 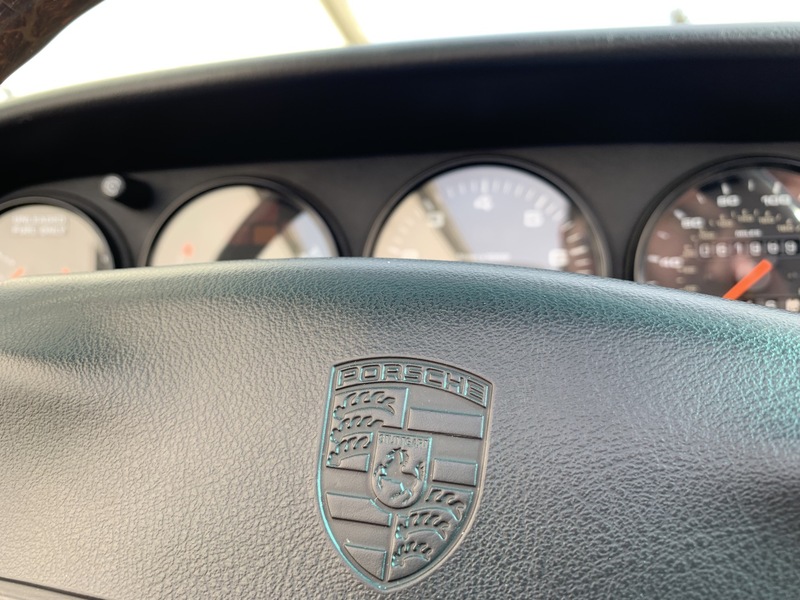 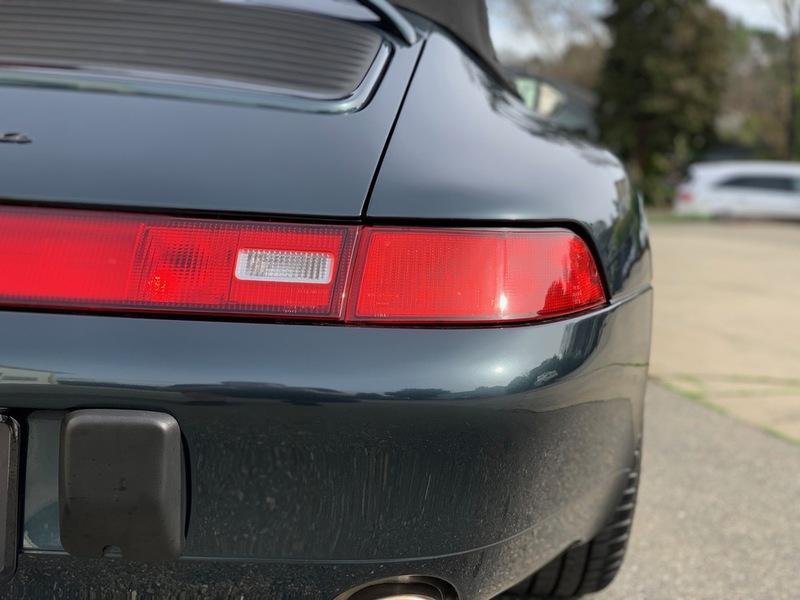 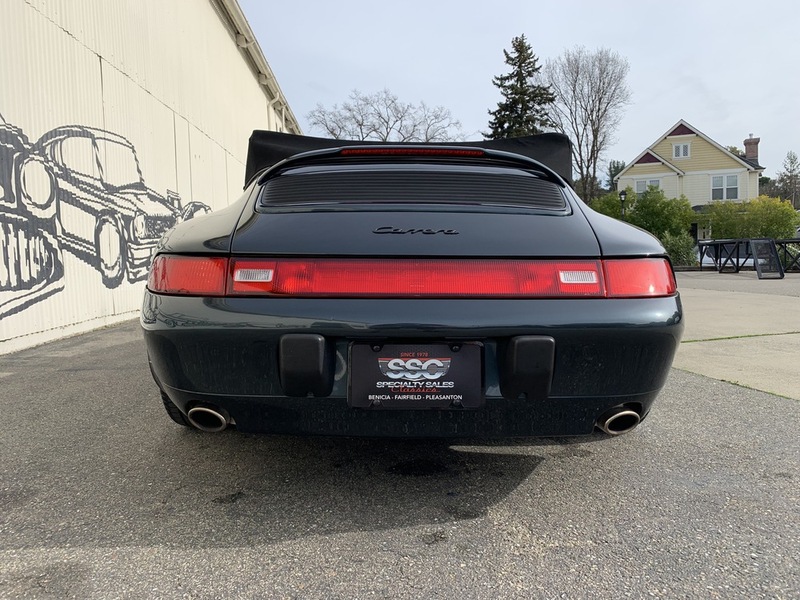 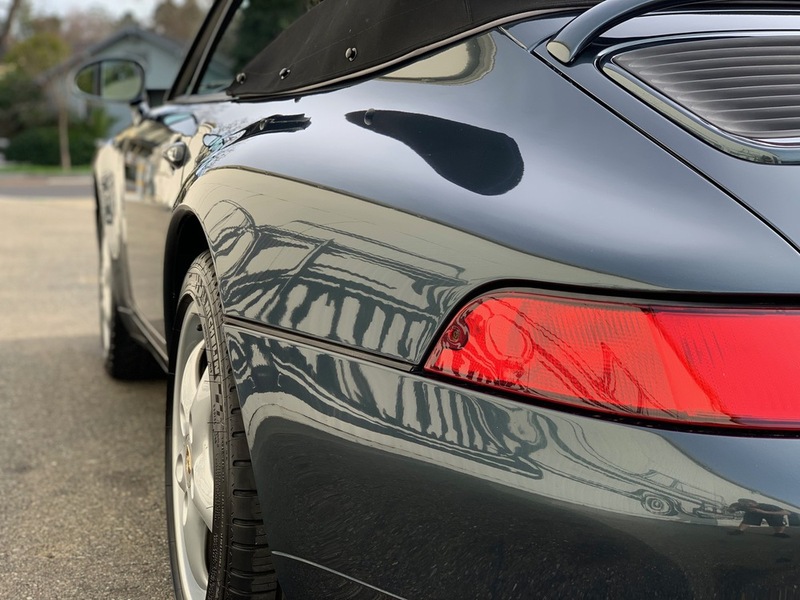 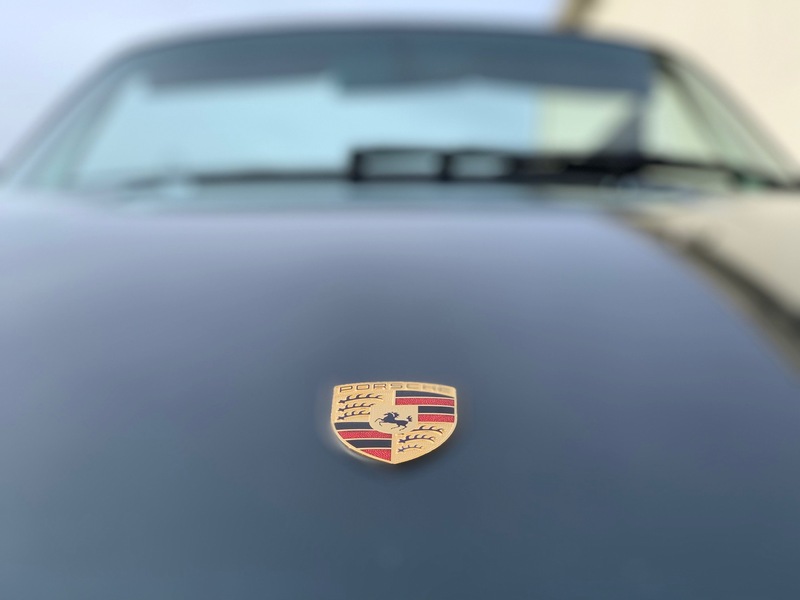 Additionally, this 1995 Porsche 911 Carrera 2 Cabriolet is a phenomenal performance vehicle on the open road with excellent acceleration, smooth handling and solid stopping power. 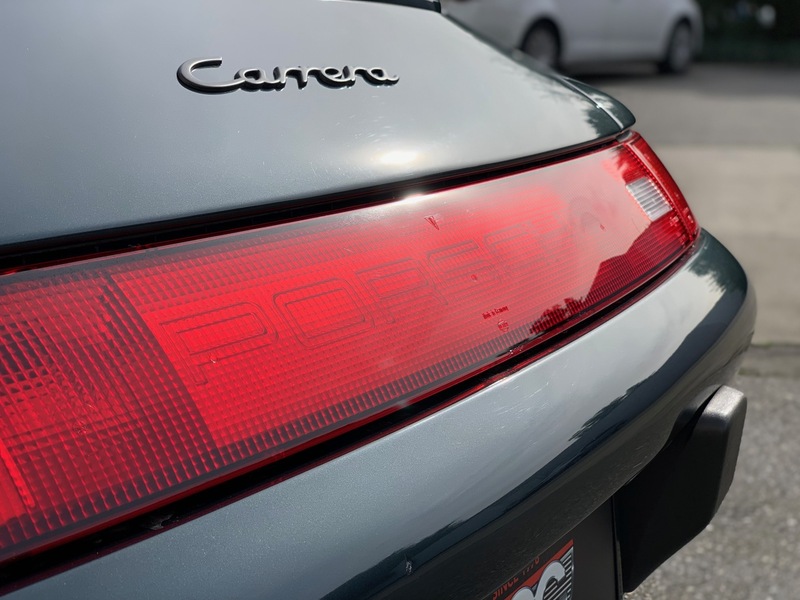 This sports car drives like it just left the factory dealership and that signature sound coming from the exhaust will put a smile on any performance lover’s face. 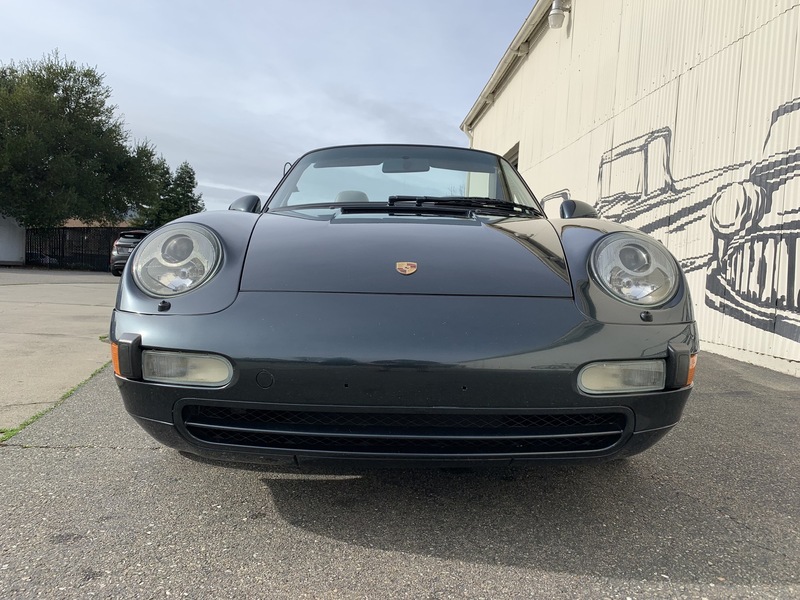 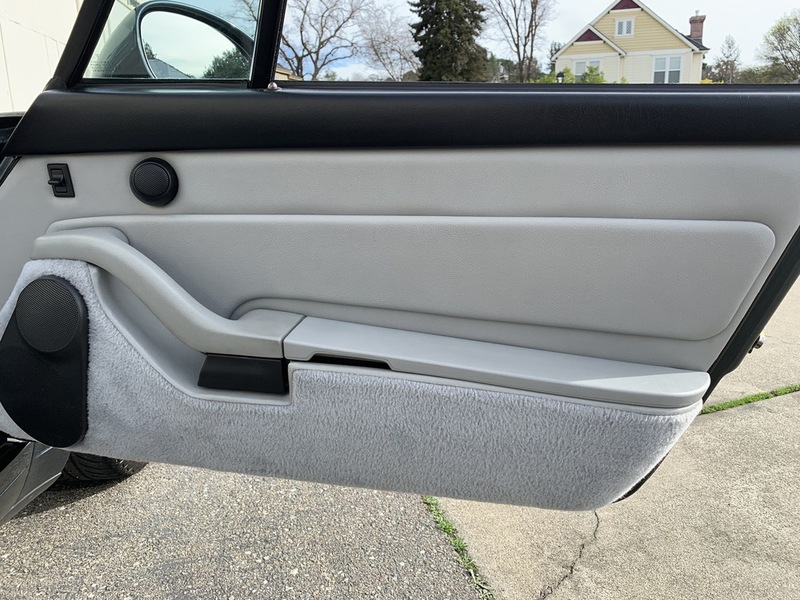 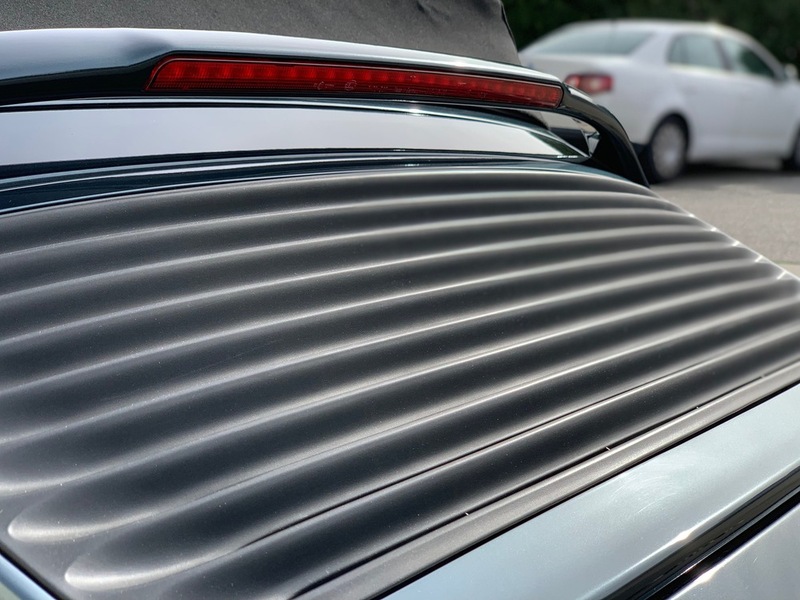 This vehicle doesn’t need anything to be enjoyed immediately and you won’t find a smoother, more desirable ride anywhere near the current asking price. 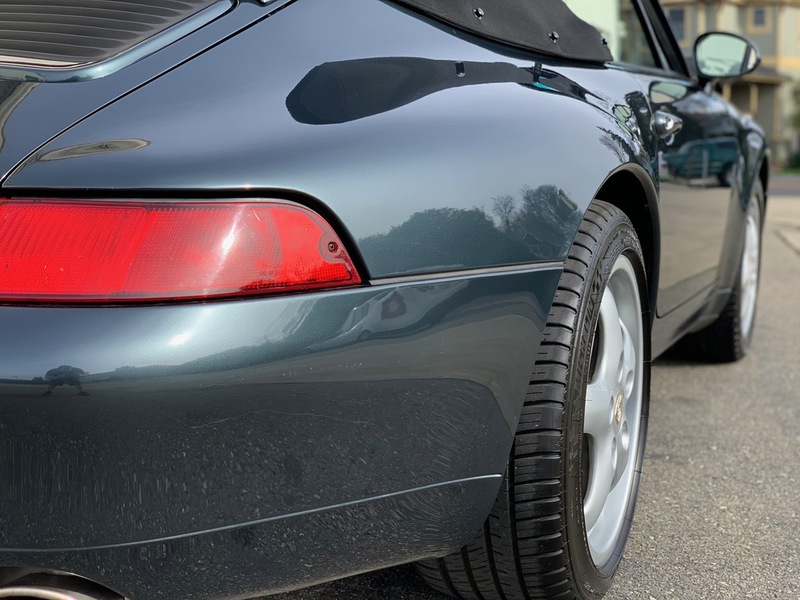 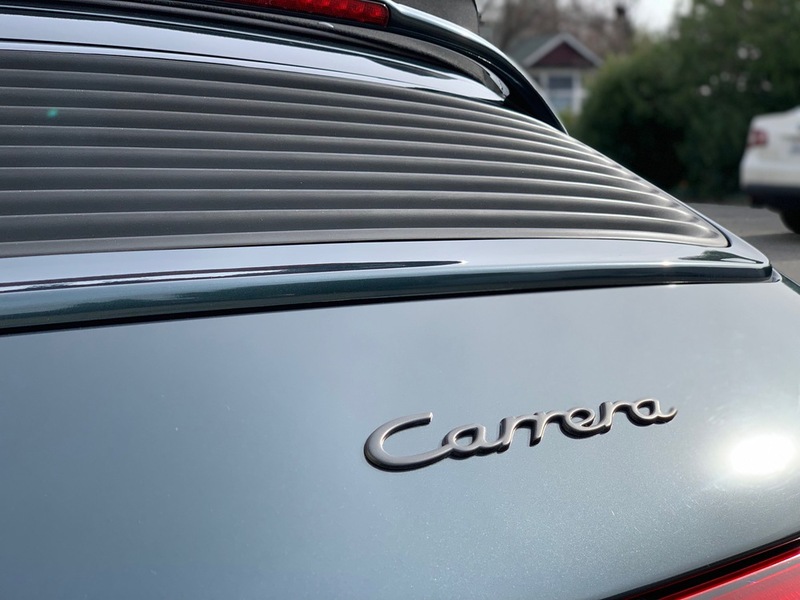 Overall, this 1995 Porsche 911 Carrera 2 Cabriolet is easily one of the more impressive examples we’ve seen in recent years and it drives like a new vehicle. 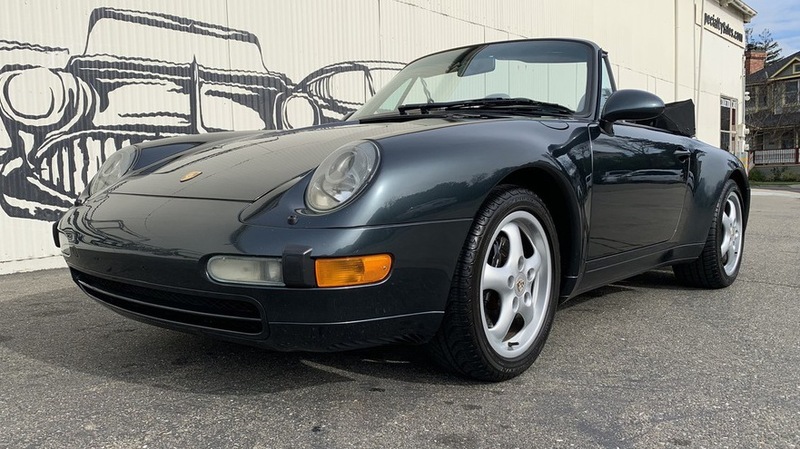 It’s an absolute steal at the current price and there’s simply no way it remains available for long. 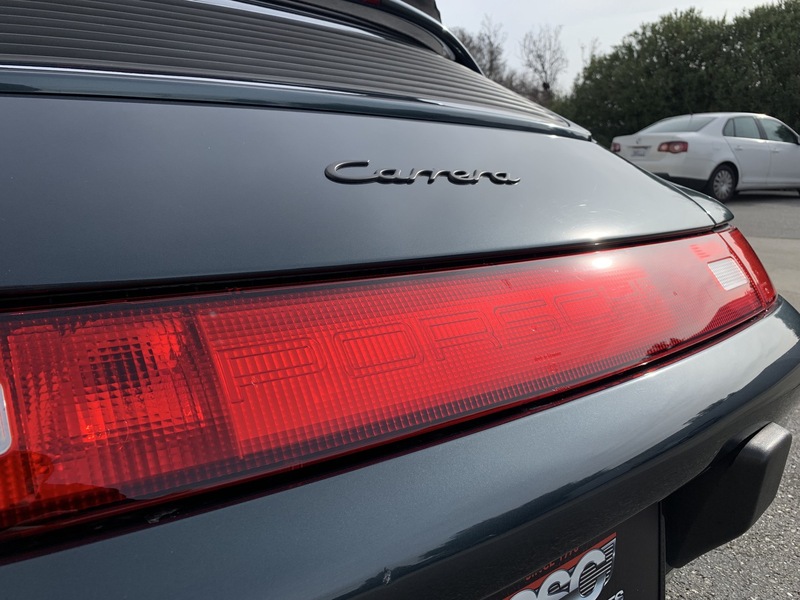 You’ll want to come see it in person and test drive it ASAP. 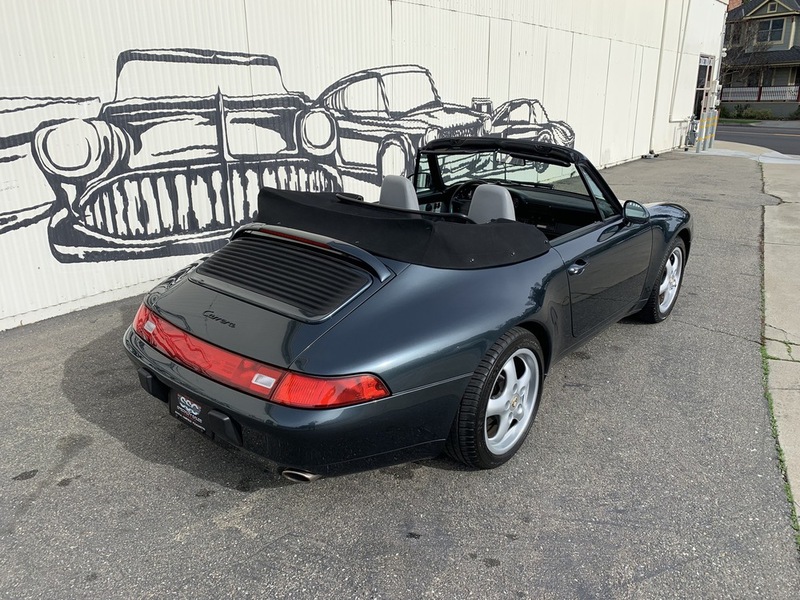 For more information about this vehicle, visit our Pleasanton, California showroom, give us a call at 925-484-2262, or email us at Sales@SpecialtySales.com. 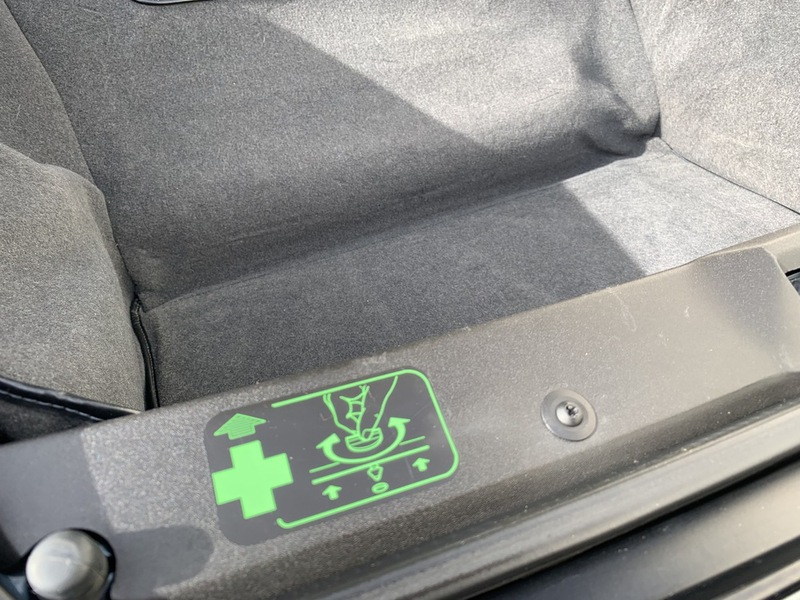 Be sure to mention Stock # P10504 as well.